When it comes to honeymoon destinations, you are spoiled for choices. 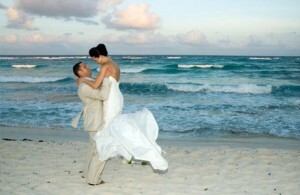 To narrow things down, you might want to focus on Mexican honeymoon destinations. There are plenty of options, but Acapulco is enjoying a resurgence in popularity. As highlighted in this post, many couples are choosing Acapulco for their honeymoons. With so many excellent resorts and gorgeous weather all year long, Acapulco is an excellent choice. It’s also a nice destination for couples who are on tight budgets. You can drive down instead of flying, which will save you a lot of money. If you go that route, or if you’d like to drive at all during your visit, make sure you have Mexican automobile insurance coverage from Mexican Insurance Store.com. Otherwise, you or your sweetie could end up behind bars during your honeymoon and who wants that when Mexican automobile insurance coverage is so reasonable. “A joyful honeymoon destination celebrated in numerous songs and movies as a classical resort where you can easily let your hair down and relax on the sandy beach with your favorite cocktail in hand. Acapulco, a famous symbol of an ideal vacation, is still luring lots of people who travel to this wonderful place throughout the entire year. Check out the entire post here. Do you think Mexican automobile insurance coverage is reasonable? Enjoy the sound of disco beach music with your partner and make best honeymoon plans in the most beautiful city in Mexico. Previous post: Are You Going to Buy Mexican Car Insurance?